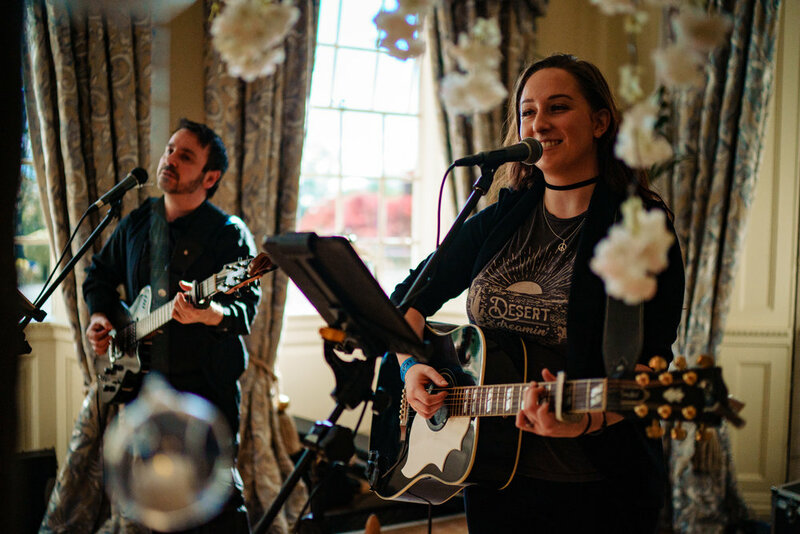 A few weeks ago ‘The Distance’ were lucky enough to be invited to be Hannah & Kai’s wedding band at the gorgeous Eaves Hall. 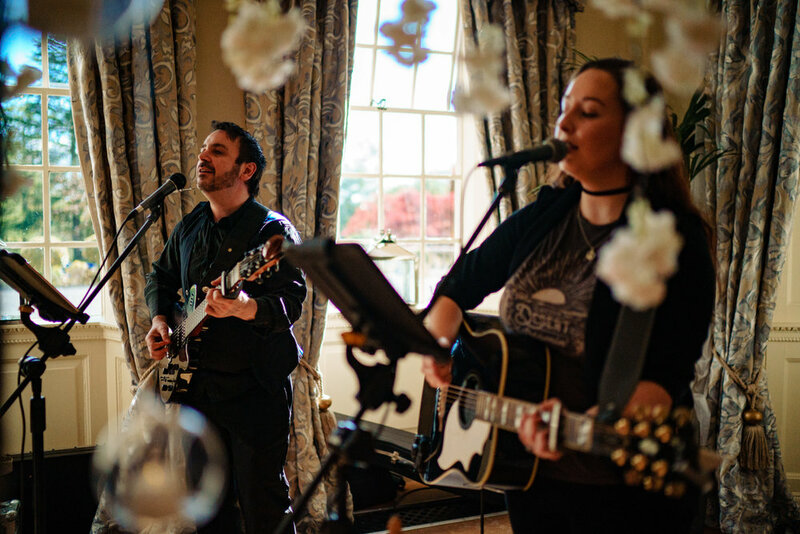 We performed as an acoustic duo during the ceremony with laid-back soulful ballads that they chose especially for the day, then beefed it up a little with our upbeat looping covers for the drinks reception Outside (Warm weather in October, lucky right?!) and then played the subtle wedding breakfast music for the last part of our day, leaving them with a few of our favourite acoustic covers. We were lucky enough to work with James Tracey Photography - Thank you for the photos, James… And Pat from ‘Quaint weddings’ again - Dream team!! A perfect day for a perfect couple. “Sophie and Matt played at our wedding in October 2018. They were amazing. We had so many guests comment on how great they are.